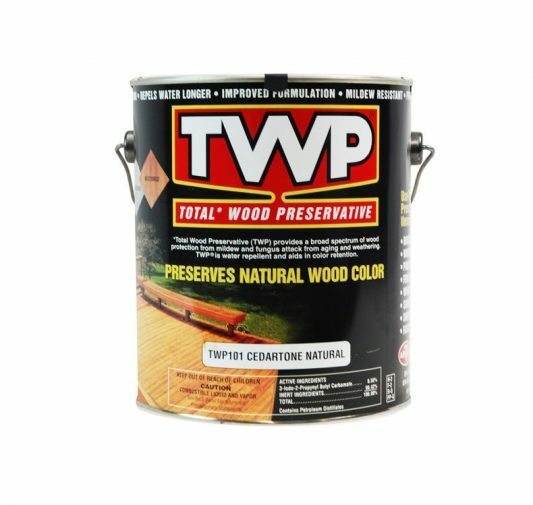 TWP 100 is a unique combination of chemicals, preserving and enhancing the natural beauty of new and old wood. Total Wood Preservative products penetrate deeply into the wood without excessive surface film build. Highlighting existing grain patterns with amazing clarity and warmth. TWP 100 is specifically designed to provide protection against the four major causes of wood degradation; wood rot, water, sunlight and mildew. It reduces water absorption, the major cause of wood cracking and veneer siding delamination. 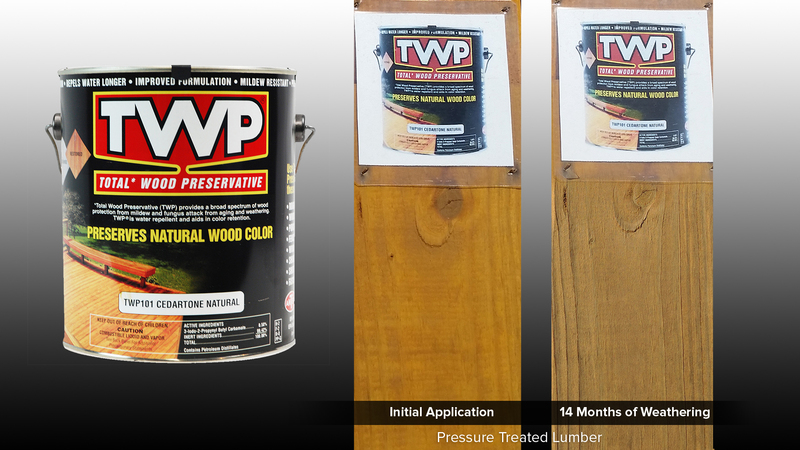 TWP 100 stops wood rotting that destroys wood internally. This can cause structural failure that may require wood replacement. TWP 100 has a nice look to it. It was pretty easy to apply and looks good after applying. Probably one of the better oil-based products that we tested. Didn’t seem to support mildew growth like some other products did, but did darken a fair amount over the time of the 14 month weathering test. Definitely didn’t hold its color as well as the acrylic products tested but did better than most of the oil-based competitors.